After our first stop in the Loire, which was at the Castle of Talcy, where they have a collection of apples and pear trees beautifully trained in different forms, we followed the river to the castle at Chaumont. Here they have show-gardens by different international designers, where a guide explained how this year’s themes – Gardens of the Future, or the Art of Happy Biodiversity – was interpreted in each garden. 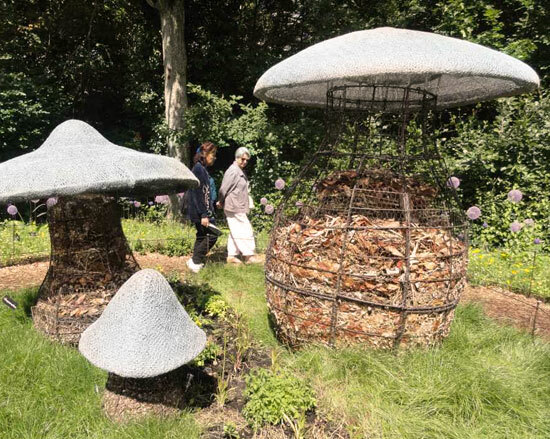 I loved the fun mushroom-shaped compost receptacles (below). The gardens were fun and inspiring, and the castle, with its grounds filled with giant trees had us enchanted until late evening. 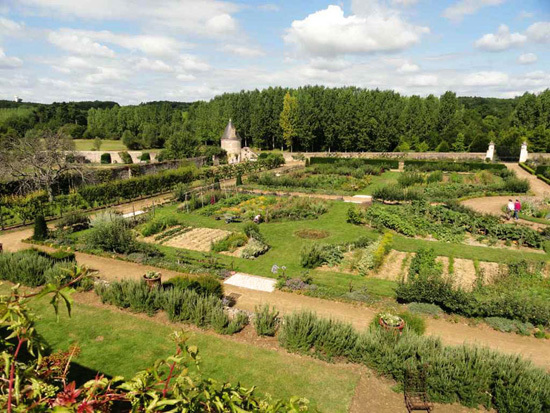 I wish I’d had more than just a morning to spend in the potager at Chateau de Valmer. 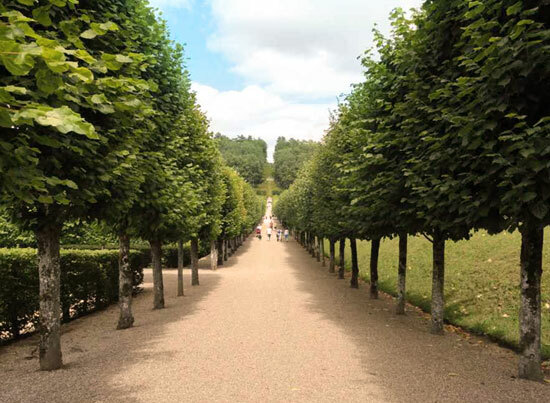 The way the fruit trees and vines were trained against walls and on structures throughout the garden enhanced the design by being beautiful and practical. It looked to me like a garden that is really loved and enjoyed by its gardeners. 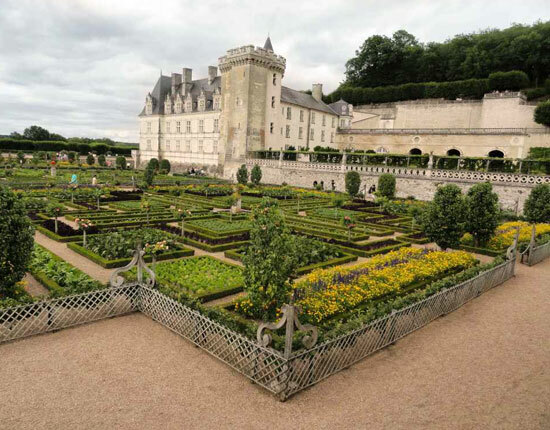 The very formal design of the gardens at Villandry, along with the thousands of visitors, was impressive, but it did not appeal to me immediately. The overview looked so controlled, almost sterile. And yet, as we walked through the gardens, I became more and more interested in the design. This is a clever garden from the big picture down to the smallest detail. 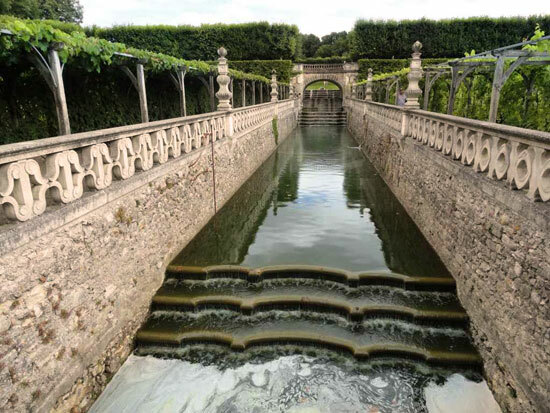 I loved the avenues and long vine pergola overlooking the vegetable garden and canal. This garden offers a rich experience with much to learn from, it lingered with me for a long time. Thanks for sharing this episode of my travels in France. I’m putting what I learned into practice back home at Babylonstoren now, and hope you will enjoy our garden as much as I enjoyed these.